My book club just read this. It's an unusual genre for a book club, and I was pleasantly surprised when it made our annual list of selections (our book club is very well organized :-)). I loved it! I thought Brown was speaking directly at me. 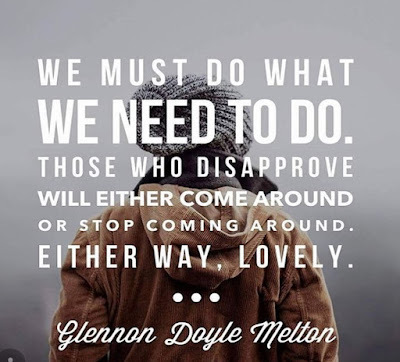 All issues, political, social, whatever, have devolved into us vs. them. I call it the "if-you-don't-100%-believe-everything-we-believe-you-are-not-allowed-to-be-with-us" syndrome. 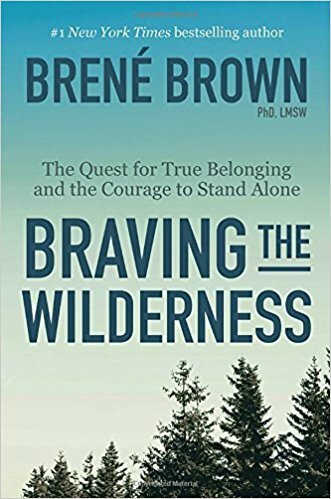 Brown advocates pushing back when getting put in a box you don't want to be in, with civility, with kindness, and with courage. 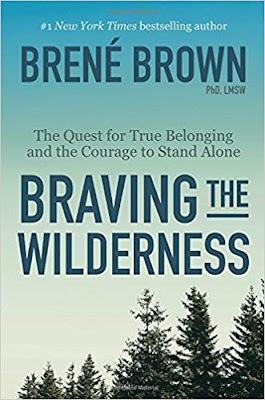 She says, "To know you can navigate the wilderness on your own - to know that you can stay true to your beliefs, trust yourself and survive it - that is true belonging." The need to belong can be very strong, and sometimes impossible to navigate. When I was first in the Air Force, I was invited to a night out by the folks I was working with. When I got there, I was told, "The guys play poker, the wives go out to dessert." Huh. I was neither. I wasn't a guy, although the poker players were the ones I spent all my work time with, and I wasn't a wife (yet). It probably annoyed both the guys and their wives, but I chose poker. Many times since then, I have been in situations where clearly I wasn't what was expected or didn't act like everyone else. I hate that feeling of not-quite-right, but I would (try to) remind myself all I can be is my own self. Kinda airy fairy stuff, but I have to say, it was one of my all time favorite book club meetings. We talked about politics and religion a lot, and all left the meeting still talking to each other. Amazing.